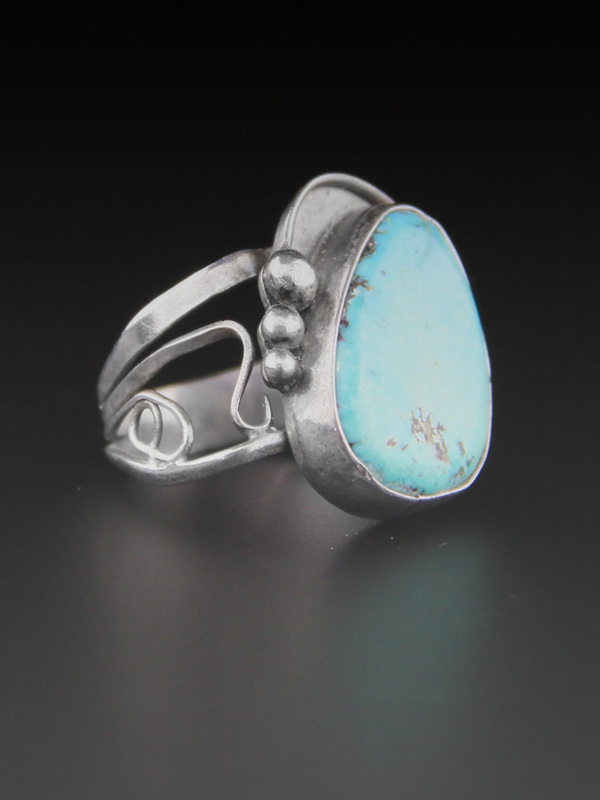 Handcrafted circa 1970, this ring in Navajo, Native American made. 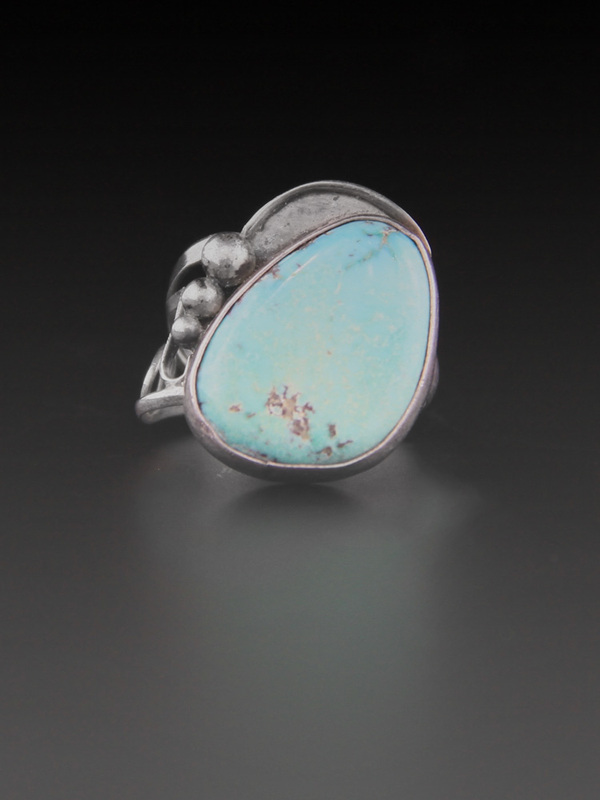 A lovely smooth turquoise ring, lovely pale greenish-blue in a smooth bezel setting with little repoussé berries on one side. 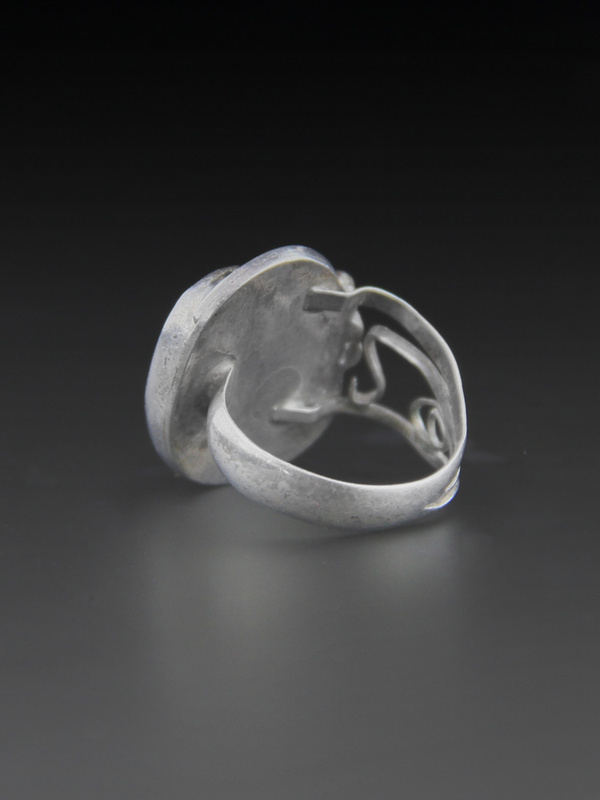 It has a lovely band that is ornate scroll work on one side and plain on the other.